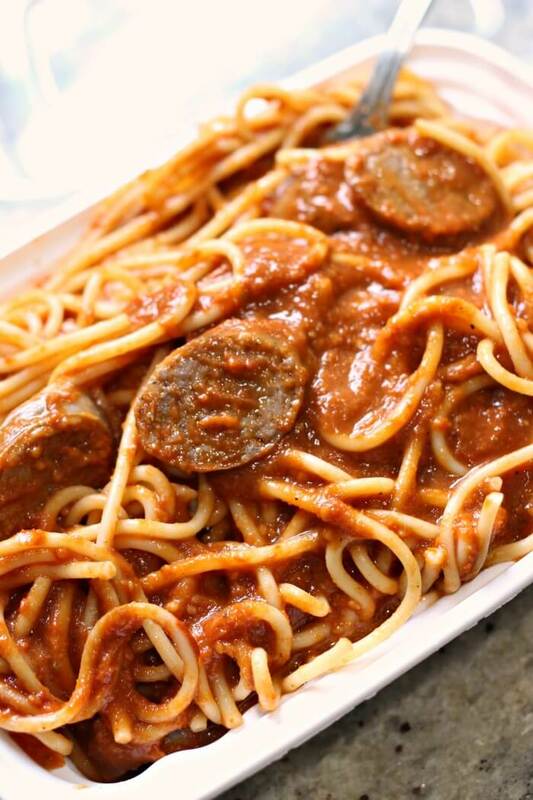 Blender Spaghetti Sauce is a simple recipe for fresh pasta sauce that you can make in about fifteen minutes! Perfect for your delicious Italian dinner. 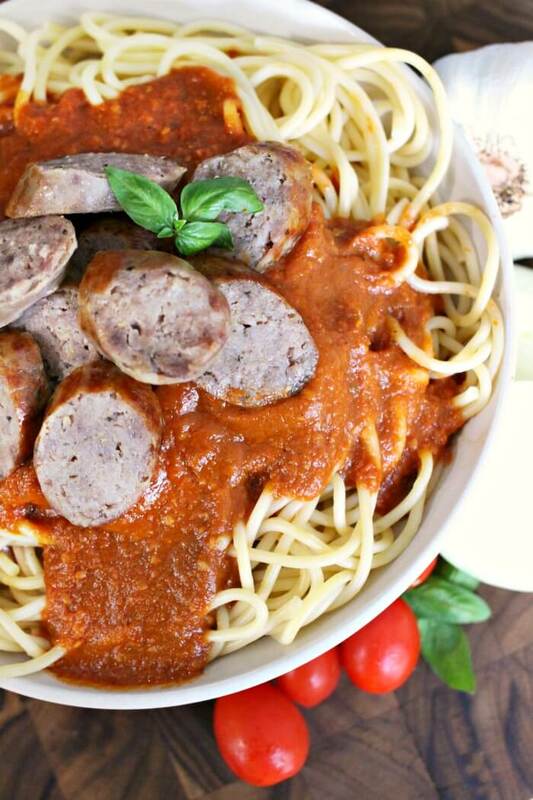 Blender Spaghetti Sauce sounds a little funny, but I can assure you, it’s as delicious as it is easy to make! And it’s really really easy to make! 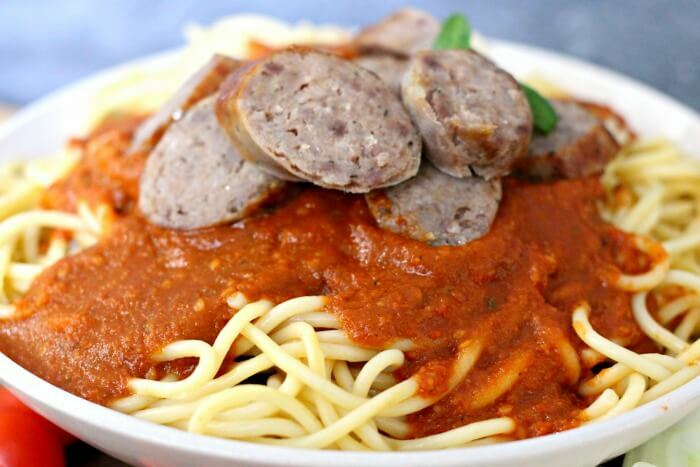 We poured our blender pasta sauce over some al dente spaghetti and topped it with sweet Italian sausage. My eight year old came back for thirds and I had to stop him from grabbing the leftovers that were packed up for my husband’s lunch! You really do just throw all the ingredients in a blender! And if you have one of those super fancy blenders that heats up, you won’t even have to put it on the stove top. I do not have one of those super fancy blenders. Now I feel like I should apologize to my blender. I’m sorry blender! I do love you! If you’ve ever thrown tomatoes in a blender, you know that they get a little pink, and weird, and frothy. 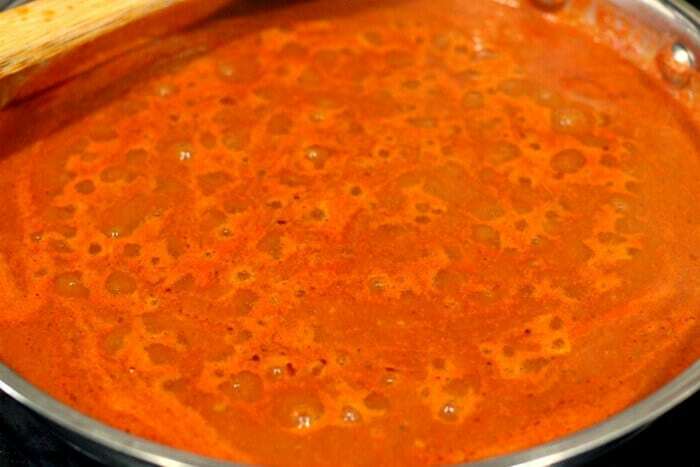 Not to worry, if you keep blending the tomato sauce for about a minute or two longer, the sauce will settle again into a nice deep unfrothy red. 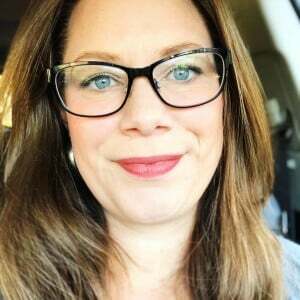 This is a sponsored conversation written by Mama Loves Food. All opinions are our own. I like to heat some olive oil in my pan before pouring the sauce in. Not only does it make your kitchen smell wonderful, but it also adds a little extra flavor to the sauce. You don’t need to heat the sauce long, only a few minutes – enough to take the edge off the garlic and let the flavors mature. You’ll want to taste your blender sauce at this point, and if it’s too tart, add some sugar to take the edge off. Simmer until the sauce is thickened to your liking, and then it’s done! 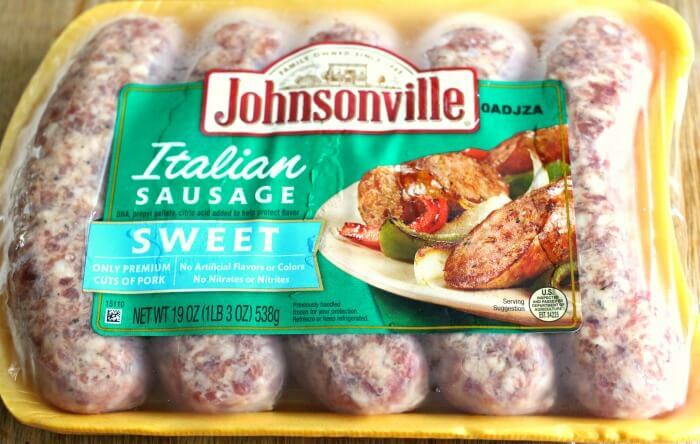 We used our new Johnsonville Sizzling Sausage Grill to cook a batch of sweet Italian sausage while the blender marinara and spaghetti cooked. 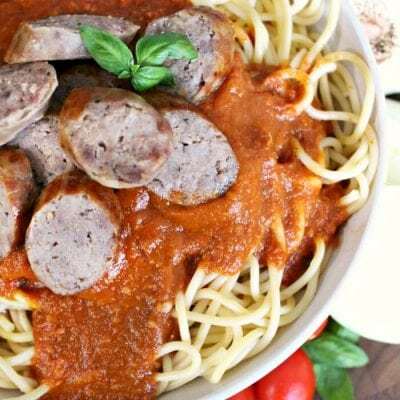 The grill cooks all five sausages in less than fifteen minutes – which means, if you prep this recipe right, you can get it all going at the same time and have a full meal with sizzling brown sausages and fresh pasta sauce in about twenty minutes total! 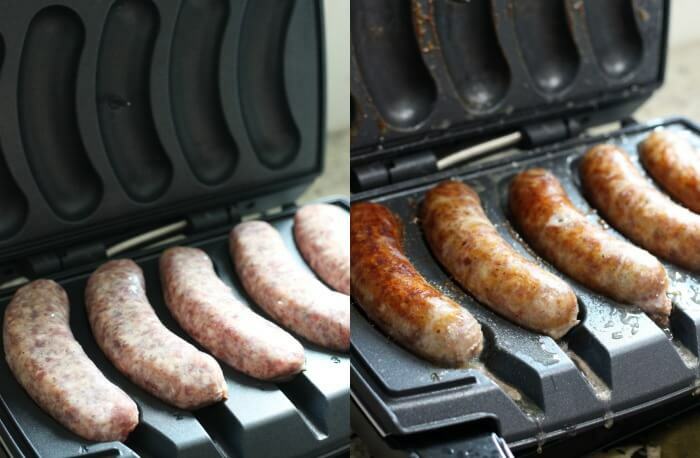 The Sizzling Sausage Grill is the perfect holiday gift for the sausage lover in your life. It works anywhere there is an electrical outlet and is easy to transport. The grill has an enclosed design that seals completely when locked so that the sausages are cooked and browned evenly, the juices and flavor don’t escape, and no drippings splatter outside the grill. You can grill a single sausage or five at a time, making the grill convenient for a single meal or multiple servings! The grill is available for under $80 at https://www.sizzlingsausagegrill.com! 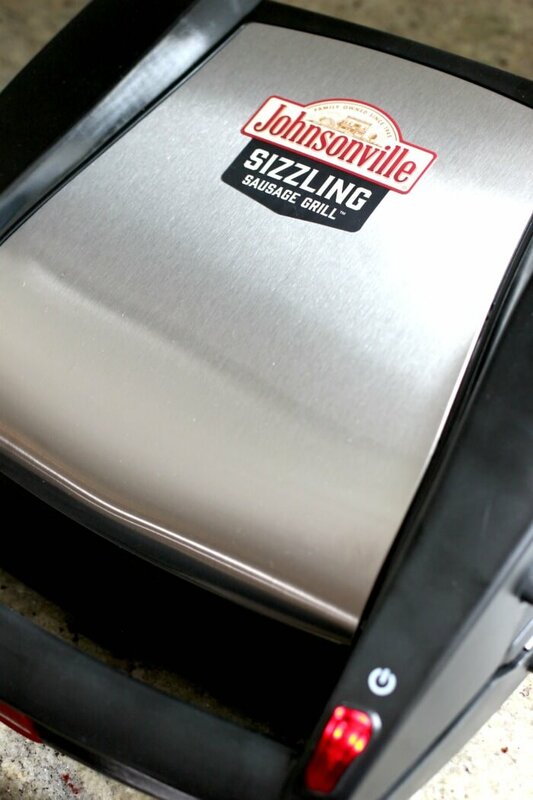 To receive the grill in time for the holidays, make sure to order by December 11 – and for free shipping and handling, use promo code “sizzle.” Promo code good until Dec. 11 for orders placed on SizzlingSausageGrill.com. When I make blender spaghetti sauce, we usually just do enough for one evening’s dinner. 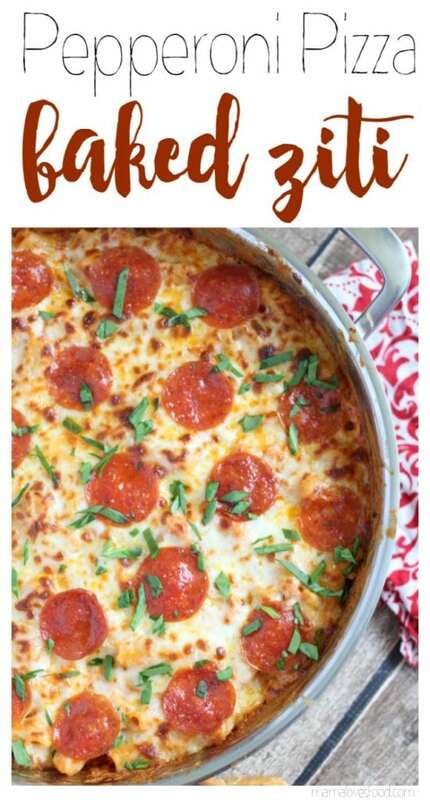 This recipe makes just the right amount. But you could totally double or triple the recipe and put it in a jar for later. I don’t proclaim to know anything about canning, but I like to toss a few jars in the freezer as they’ll last for 6 – 12 months that way. 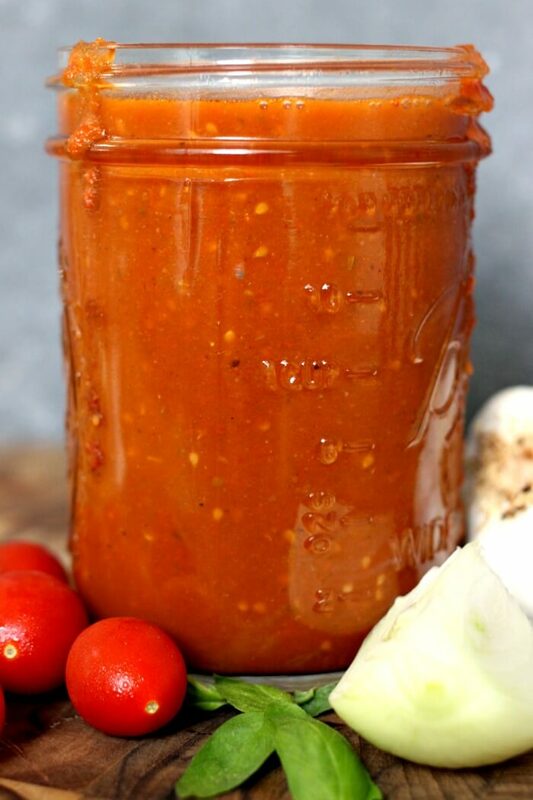 This tomato sauce recipe is perfect if you have to use an abundance of tomatoes from a good season in the garden! 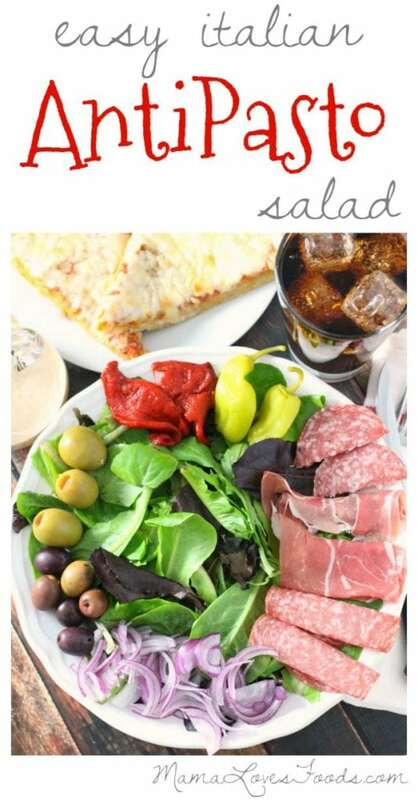 If you love Italian foods, make sure to check out these other yummy recipe ideas! Slow cooker Italian chicken stew – Full of vegetables, full of flavor, and super healthy. This is a family favorite in our home. Two minute garlic knots – Go ahead and cheat by making these yummy garlic knots with crescent roll dough. Everyone will love them! Italian eggrolls – Talk about the perfect fusion food, crispy eggrolls filled with Italian goodness, yes please! Open faced Italian chicken sandwich – It’s like a pizza and a chicken sandwich had a baby. A gooey, cheesy, chickeny, mmmmmm. Italian herb croutons – These are gluten free and made with polenta! Yum! Italian sloppy Joes – I hide so many vegetables in this recipe and my kids have no idea! We like to make a giant batch and freeze it in smaller portions for later. Slow cooker Italian shredded beef – Possibly my husband’s favorite recipe ever! Sausage and peppers flatbread – All the best parts of an Italian dinner, on a flatbread. 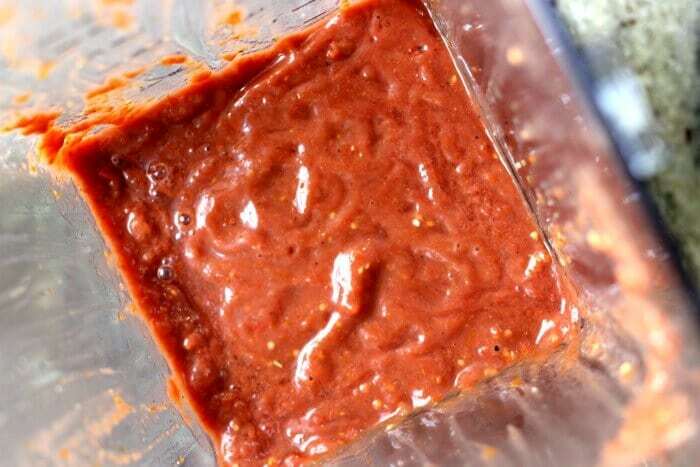 Making blender tomato sauce is easy, quick, and super delicious. 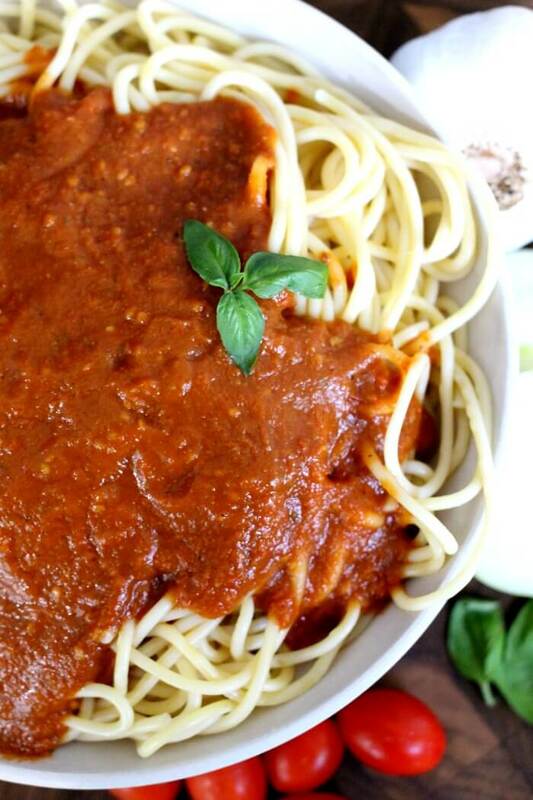 Such a great fresh tomato sauce recipe! Add everything except the sugar and olive oil to your upright blender. Blend until smooth (you will still see some seeds, that's okay! ), about 3 - 5 minutes. If it's still pink and frothy, blend a little longer. While sauce is blending, heat a small amount of olive oil in a skillet. Pour sauce into skillet and simmer until sauce reaches desired consistency. Taste and add sugar if desired. Simmer another minute or two more. Blend until smooth (you will still see some seeds, that’s okay! ), about 3 – 5 minutes. If it’s still pink and frothy, blend a little longer. My husband would love this grill! He’s always making sausages. 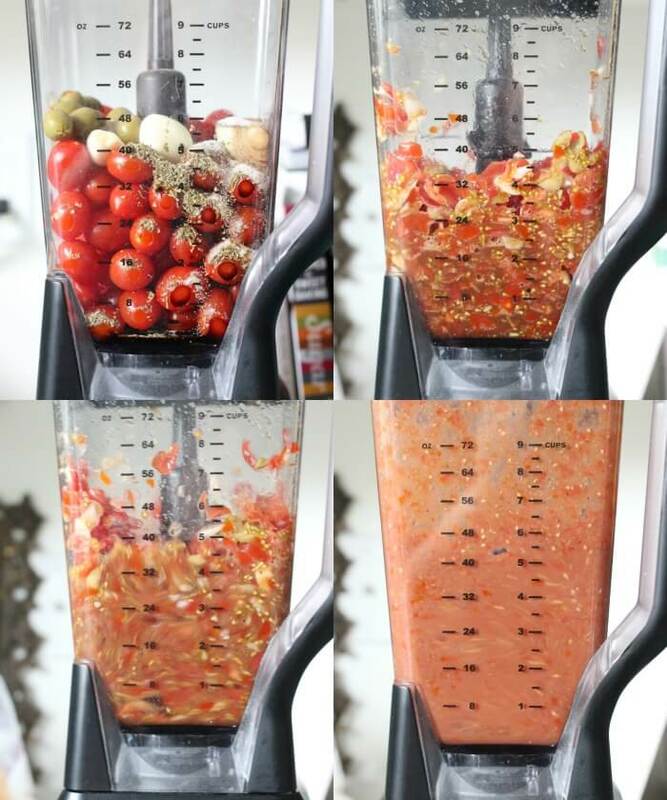 I’ve never made pasta sauce in the blender- I’m going to try it! And those sausages look PERFECT! 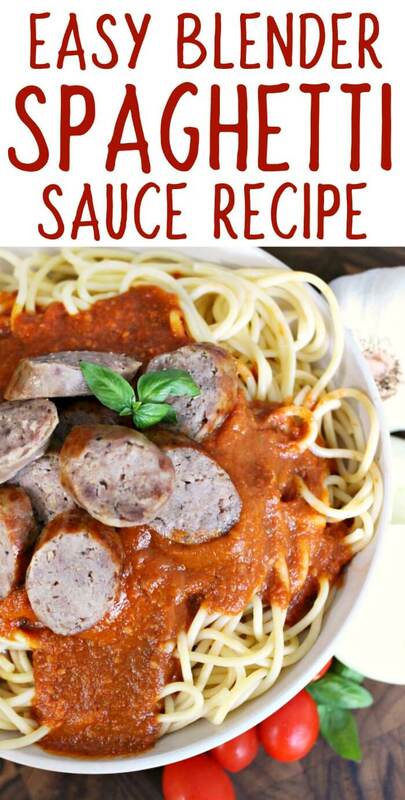 That pasta sauce looks amazing! I can see myself making batches of this! This is such a cool idea. I never thought to use a blender. I am so trying this! What a time saver.